Day old desserts can be rather unreliable, most of the time they're rather stale but sometimes they age perfectly well. 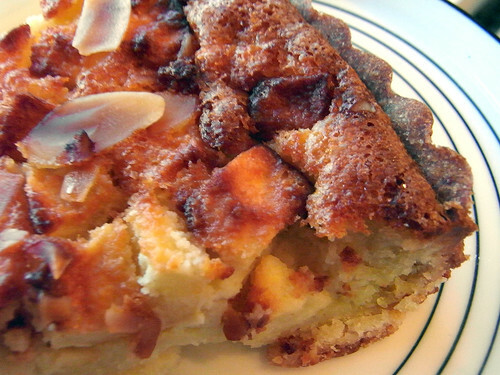 Like this apple almond cake from Patisserie Margot in the Upper East Side. A delicious second day treat! I can only imagine what it is like fresh out of the oven. Which reminds me of this hilarious tale of Serious Eats trying to find the best bagel and discovering that the best bagel can only exist within an hour of it coming out of the oven.